Come experience the wonders of Gunung Mulu National Park. Take a 20 minutes ride from Miri and visit one of the best Unesco Heritage site in the world. 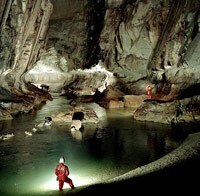 Visit all the famous caves there like the Deer Cave, Lang's Cave, Cave of the Wind and Clearwater Cave. Watch the over 5 million bats exodus from Mulu Caves in evening in search of food and simply be awed by God's natural creation. Vibrant, yet peaceful. Both modern and timeless. A fusion of majestic opulence and traditional respect. If you are looking for Mulu National Park Tour for 2D1N, please visit us by CLICKING HERE. **BENARAT LODGE occupancy will be quite full. BOOK EARLY! 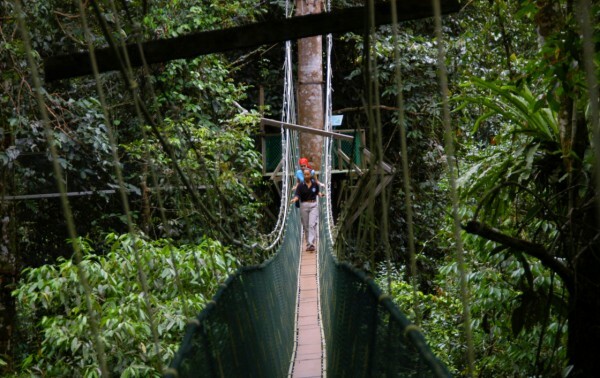 Optional excursion: Canopy Skywalk.at RM65 per person depart at 1400hrs. The Mulu Canopy is the longest tree-based walkway in the World. As you walk among the ferns and vine 15-25 metres above the forest floor and river you will enjoy this unique opportunity to get closer to the rainforest 'Web of life'. It takes about 2 hours for the walk. .
Day 3: We fly on morning MASwings flight departing at 1010hrs from Mulu to Miri (flight available in morning or afternoon departing at 1400hrs). Meet & greet air Miri Airport by your guide & proceed by overland to Bandar Seri Begawan. Drive for 1 an half hours on 92km of Kuala Belait ferry terminal, highway through Seria Beach beautiful countryside, Kpassing Tutong Town, see high grade white silica sands good for making Micro chip, Liquefied Nature Gas complex from outside before we check into Grand City Hotel ( 2 stars ). Day 4 : Breakfast at the hotel. 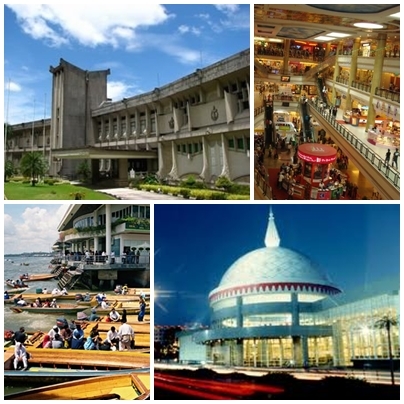 This tour allows you to explore the history, culture and tradition of Brunei Darussalam. Later, we will pass through the busy government and commercial center of Bandar Seri Begawan to the Brunei Museum via the science route. You will also have the chance to view the Venice of the East (The Water Village). The Water Village of Bandar Sei Begawan is the home of some 30,000 people, Our next stop is the Royal Regalia Hall which houses the royal items used during the coronation and silver jubilee celebration of the 29th Sultan of Brunei. Next, the Sultan Omar Ali Saifuddin Mosque was named after the 28th sultan of Brunei. Designed by an Italian architect, the mosque was built in 1958 in the city of Bandar seri Begawan.The golden-domed structure, the tallest building in the city, has Italian marble floors and walls. A stone replica of a 16th century barge rests in the Brunei River in front of the mosque. as stated, guided tours & entry permit. Excludes : Tipping & Personal Expenses, Entry Fees for Jerudong Park. Tips for the trip: You need to bring along your raincoat, mosquito repellent, torchlight and good trekking shoes for the Show Caves. Also bring along your swimming suit if you wish to swim at the Clearwater Spring. All transfer in Mulu, airfare from Miri-Mulu (return), entry permit and fees, accommodation at Benarat Lodge or Mulu Marriott Resort & Spa, meals: (2B, 3L, 2D), excursion to Show Caves of Mulu and Nature Guide. 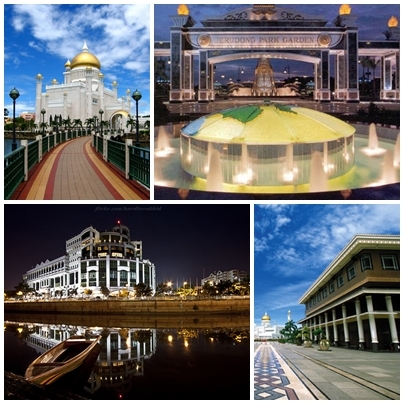 For Brunei: Scheduled return transfer per itinerary, meals & accommodation as stated, guided tours & entry permit. Please note if you arrive Mulu on first flight you return on first flight . If you arrive mulu on afternoon flight, then you return on afternoon flight.